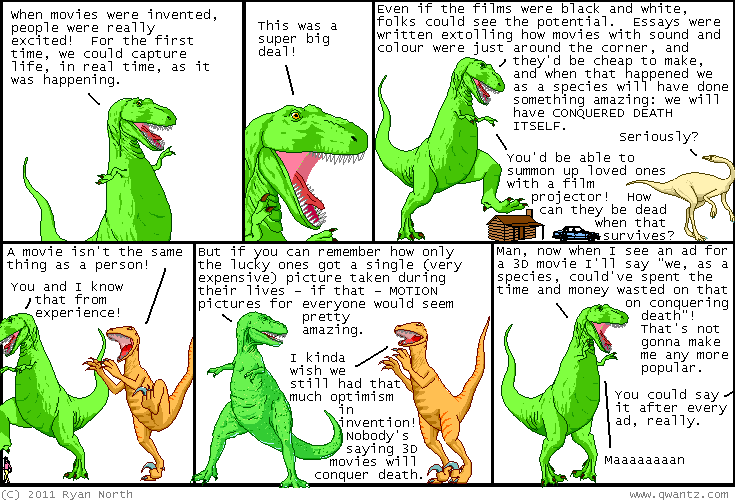 Dinosaur Comics - February 14th, 2011 - awesome fun times! –Where do I even begin?! February 14th, 2011: What If All Stories Were Written Like Science Fiction Stories?